The Rio Olympics should have been a career highlight for Ryan Lochte and an all-out celebration for USA Swimming. But a fight at a gas station, and the versions of those events that Lochte reported — both to the media and the police — have stolen the world's attention. And now Lochte will be punished. As first reported by TMZ, and subsequently confirmed by various outlets, he faces a 10-month suspension that includes the 2017 World Championship. But he wasn't alone. So will Lochte's teammates be suspended, too? Both CNN and USA Today spoke to anonymous sources with knowledge of the matter. It seems that Lochte's teammates with him that night will also face suspensions, but they will not be as long. He was joined by Gunnar Bentz, Jack Conger, and James Feigen. No official statement has been made, but the source said the suspension will be handed down jointly by the International Olympic Committee, the United States Olympic Committee, and USA Swimming. The Washington Post reported that Conger's suspension will be four months. Some are already arguing that the punishment is unfair. For example, Michael Phelps had a shorter suspension for a DUI than Lochte is getting for lying. Fair or not, that could be because Lochte's alleged crime drew international attention. He still faces charges in Brazil for filing a false police report (his lawyer denies that he made any false statements). Plus, his central role in the case may also explain why he faces more time than his teammates. Feigen already settled charges he faced by paying $11,000. Bentz and Conger are not considered to have broken the law according to Brazilian authorities. Even though they were initially stopped from leaving the country, they only served as witnesses, and went home without charges. USA Swimming's CEO Chuck Wielgus also took a rather harsh tone: "While we are thankful our athletes are safe, we do not condone the lapse in judgement and conduct that led us to this point. It is not representative of what is expected as Olympians, as Americans, as swimmers and as individuals," he said in a statement at the time. The Rio 2016 spokesman memorably had a different perspective saying, "We have to understand that these kids came here to have fun. Let's give these kids a break." 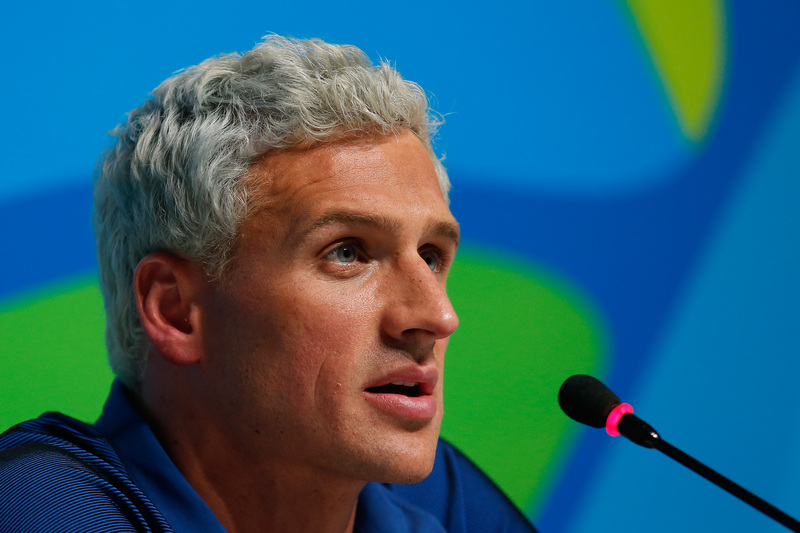 A 10-month suspension could cause significant career challenges for Lochte. He would not be able to attend a World Championship until 2019, when he will be 35. Chris Chase of Fox Sports argued that is equivalent of giving him "swimming's death penalty," in other words: far too harsh. Lochte has also lost a number of endorsement deals, but he will appear on Dancing With the Stars. The show returns Monday, Sept. 12.